With rain forecast and the dullness of a cold Canberra morning already set in, I was very close to bailing on my ride this morning. 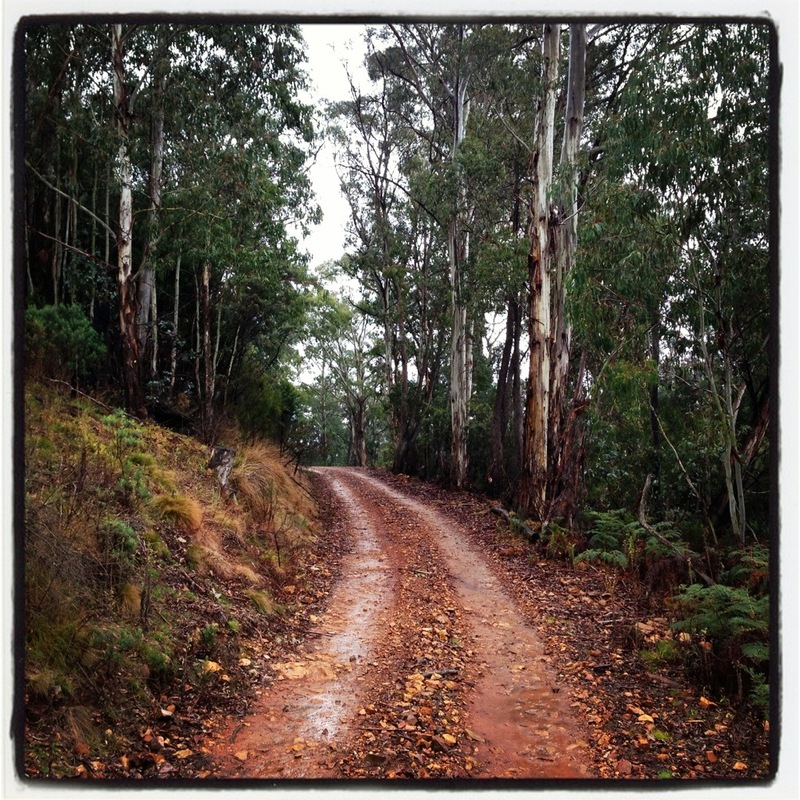 But with serious hills on my mind for Mongolia, I took some HTFU along with my morning vitamin C and headed out. Not long after I left the bitumen it started pouring. Once the rain made sure I had a good soaking, it eased off and I could settle into the Two Sticks climb. The lyrebirds were clearly loving the rain and their songs were echoing all around me. 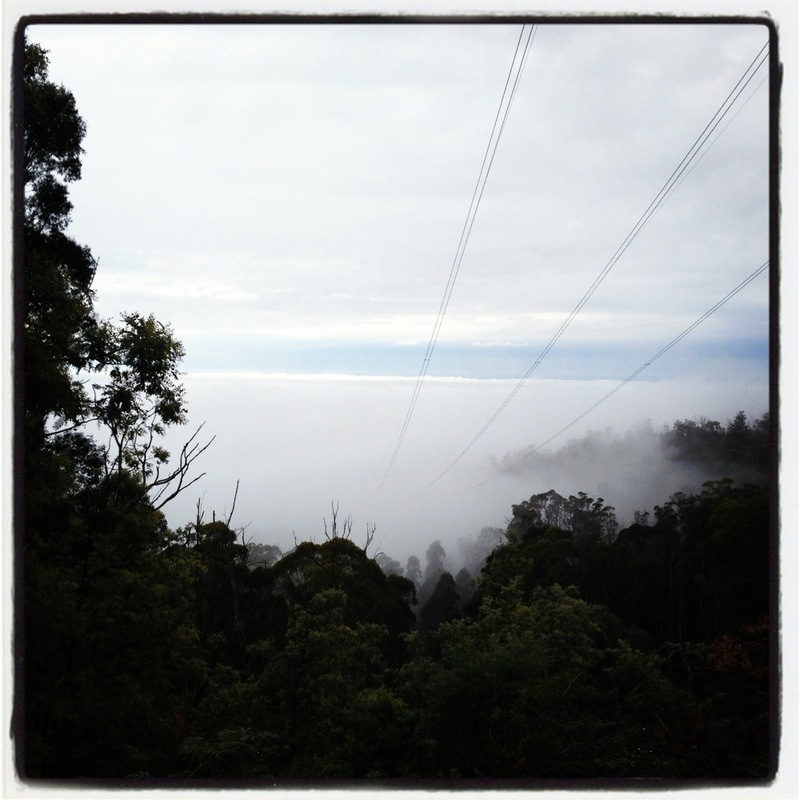 Two hours in and I found myself partway up the climb but well above the mist and clouds. The forest smelt divine, so fresh and awake. By the time I started descending it was pouring again and the road was quickly becoming a quagmire. One lone 4WD honked and gave me (who was already starting to look quite brown) a “what the hell are you doing out here?” look as he zipped by. By the time I got back to the blessed tar I was entirely muddy and looking pretty sloppy. Even if it was only a couple of hours, it was the best ride I have done in ages and I am so glad I got out. 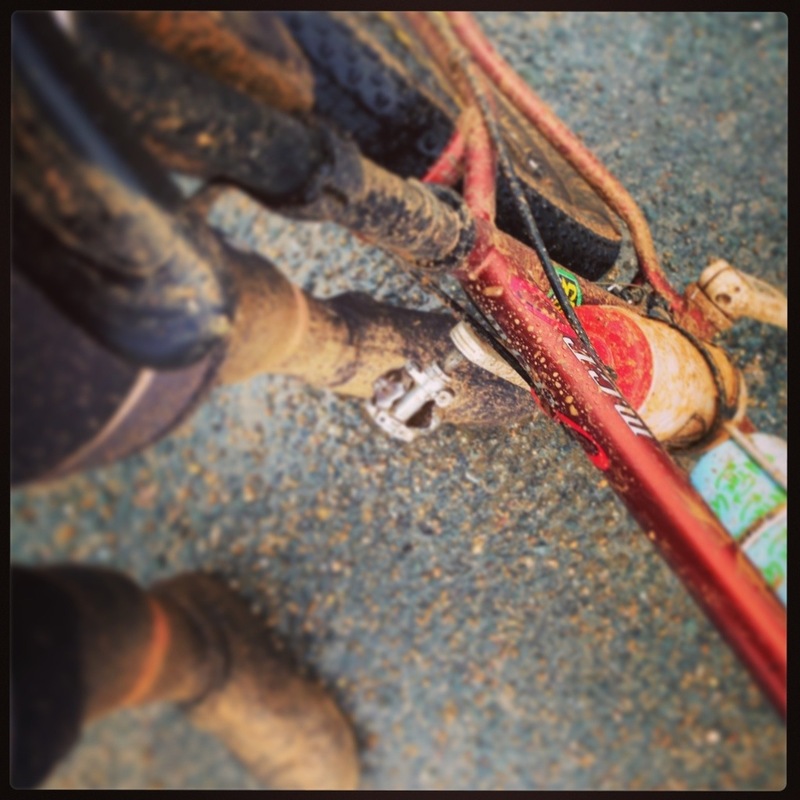 This entry was posted in BikingBethany and tagged all-weather training, HTFU, mud rides, Niner on July 14, 2013 by bethany.